Hello friends! 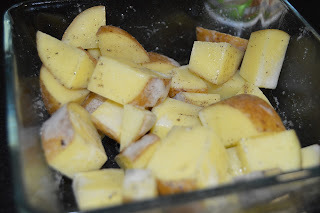 Today we are going to make an easy delicious vegetables breakfast..
- Potatoes are a great source of complex carbohydrates (which are great for rebuilding energy supplies), and they also contain fibre, vitamin C, vitamin B6, potassium, thiamine, niacin, manganese and copper. - Mushrooms are anti-oxidants and rich in zinc. They lower cholesterol level, support immune system, increase vitamin D level, maintain healthy skin, and contain natural insulin. They also increase metabolism, inhabit cancer, and thin blood. 1. Put the potato cubes in a medium glass baking pan. Drizzle over some olive oil and season with salt and pepper. Bake in preheated over 210 °C for 10 minutes. 2. 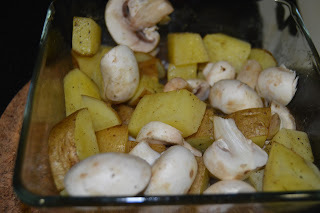 Stir the potato cubes then add the mushrooms and bake for 5 minutes. 3. 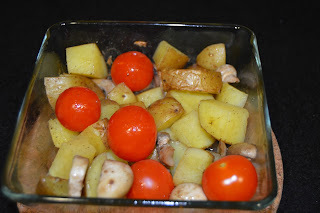 Add the tomatoes and bake for another 5 minutes. 4. 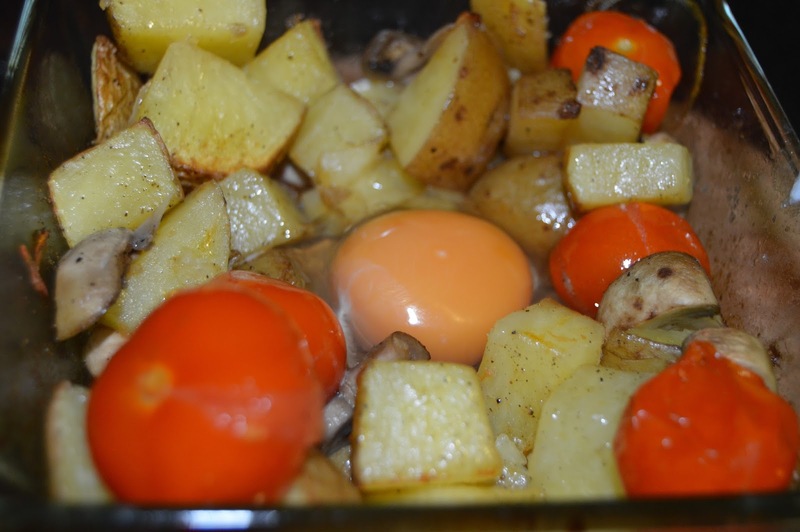 Make a hole in between the vegetables and then break the egg. Bake for 3 minutes until the egg is set. 5. Garnish the mixture with parsley and serve straight from the baking pan.